Jonathan Mahautière, 22, has been sentenced to life in prison without parole for 11 years for strangling his girlfriend to death in June 2014. 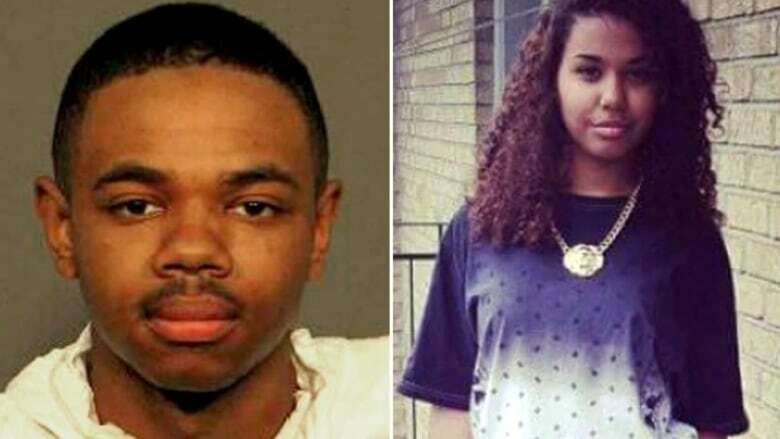 A 22-year-old Montreal man has been sentenced to life in prison without parole for 11 years for strangling his girlfriend to death in June 2014. Jonathan Mahautière admitted to killing 17-year-old Gabrielle Dufresne-Élie and was convicted last month of second-degree murder after six days of deliberation. Mahautière was 18 at the time. Quebec Superior Court Justice Sophie Bourque handed down the sentence, based on the joint suggestion of the prosecution and defence lawyers in a Montreal courthouse Friday. The two were celebrating her high school graduation in an east-end hotel at the time of her death. He called 911 from a nearby phone booth after he strangled her. The Crown argued Mahautière killed his girlfriend because she wanted to end their relationship. The defence argued he should be found not criminally responsible due to mental illness, or be found guilty of manslaughter. The family of the victim expressed relief the process was finally over. "I feel liberated and I can finally start my mourning for good," said Marlène Dufresne, Dufresne-Élie's mother, as she left the courtroom. Mahautière expressed his remorse inside the courtroom. "I want to apologize to the family," he said. "I do not expect any forgiveness. I have a hard time believing that I did this and especially at such a young age." Mahautière stood trial for Dufresne-Élie's death for the first time in 2017, but a hung jury prompted the judge to declare a mistrial. At that time, jurors couldn't decide between a second-degree murder or a manslaughter conviction.